Parliamentarian Namal Rajapaksa today denied allegations that one of his family members had a bank account in Dubai with a deposit of US $500 million. Rajapaksa today said that neither he nor his brothers had any such account. 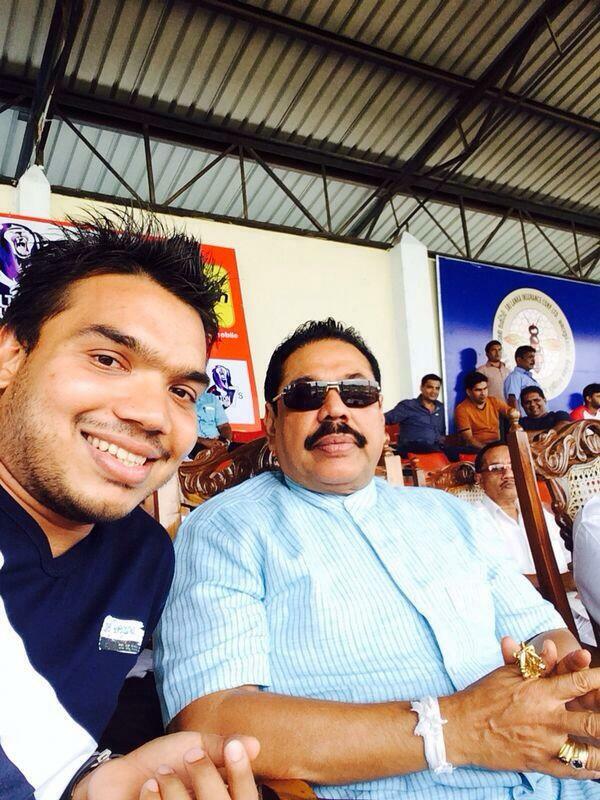 Namal Rajapaksa told media that not even his parents had such a foreign account. He described this as another attempt to discredit his family. Media reports said that the Sri Lankan government had initiated a judicial process in Dubai requesting the government there to freeze a bank account owned by a son of a VVIP, while pointing out that the monies have been earned through illegal means. Media reports said that the son of this VVIP was a current parliamentarian. These reports further clarified that the account originally contained US $1 billion and after, the judicial process was initiated the owner of the account had transferred US $500 million to a bank account in another foreign country. Speaking to the media on the issue Cabinet spokesman, Minister Rajitha Senaratne meanwhile said that officials in Dubai have already confirmed of the existence of the account. Senarathe had earlier said that Sri Lankan investigators have located more than $2 billion that was secretly transferred to accounts in Dubai by figures close to the administration of former president Mahinda Rajapaksa. Senaratne said the funds represented about of fifth of the total amount of so-called ‘black money’ that the authorities suspect was illicitly stashed abroad. “We have information that more than $10 billion, more than our country’s foreign reserves, is kept outside the country by those closely related to the last government,” Senarathne had said. Senaratne did not say who held the accounts. He said it had also identified large withdrawals, including one of $600 million, from accounts belonging to people who had worked with Rajapaksa’s government. However Rajapaksa family members have repeatedly denied such accusations in the past.